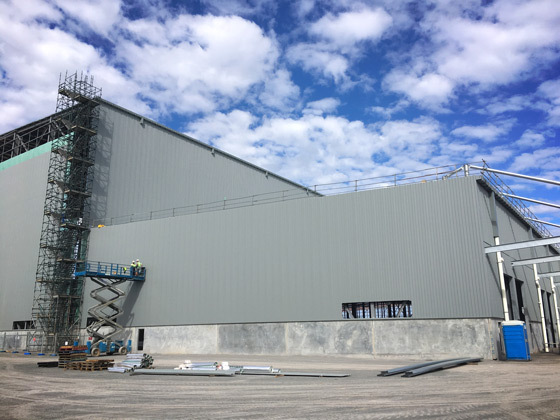 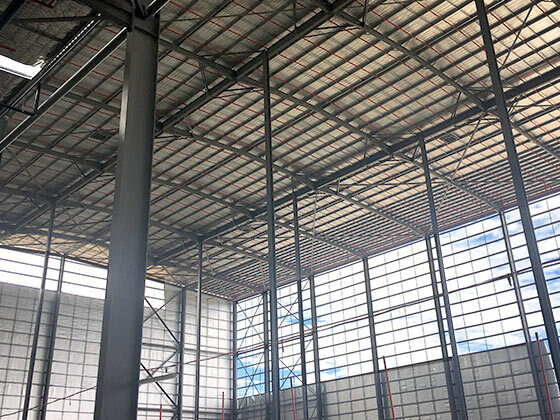 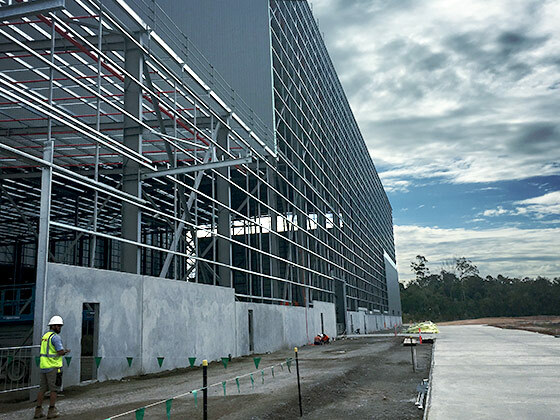 The Schweppes Asahi Distribution Centre (DC) development at Heathwood, an industrialised suburb on the south side of Brisbane, is an outstanding example of high bay warehousing designed to accommodate state-of-the-art automation supplied by specialist integrators, Dematic. 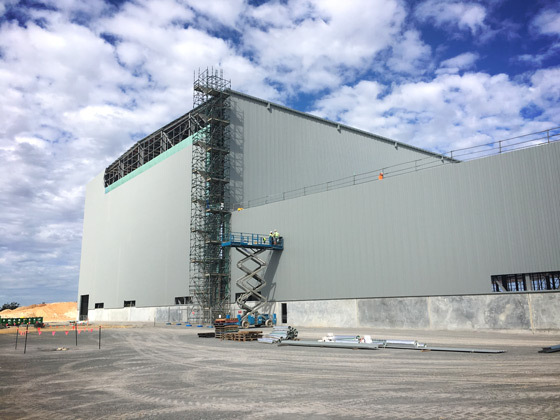 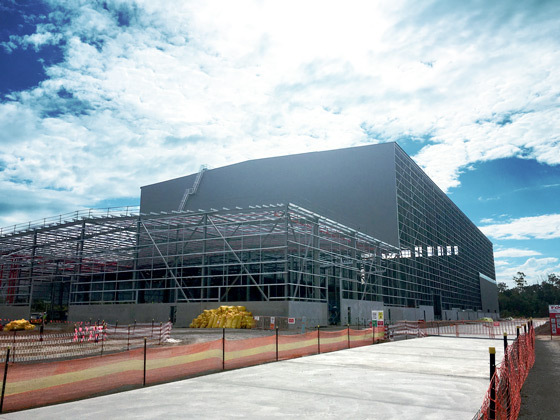 Dematic described their proposed system for the Schweppes Asahi DC as a satellite storage solution containing six aisles of six-deep satellite “ColbyRack” capable of storing 28,000 pallets; the automated storage and retrieval system (ASRS) including six new “RapidStore” storage retrieval Machines (SRMs); theirc latest free-roaming “Automover” satellite carts; and also “Skate Auto-loading Truck Docks”, an extensive pallet conveyor system, stretch wrapper, automatic barcode labelling, and full-case picking area. 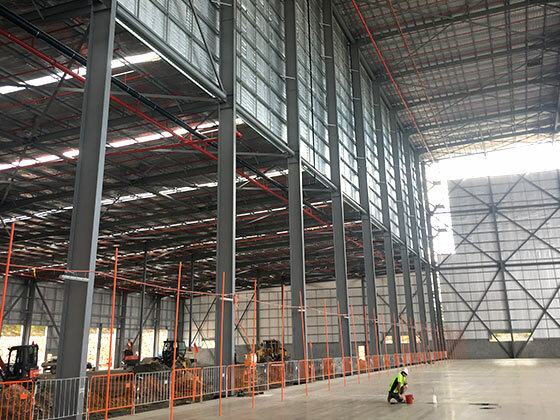 Costin Roe Consulting designed the large-scale slab and steel structure to meet the standard of precision required for the successful deployment of robotics, the slab being designed specifically for Dematic’s fully automated racking system. 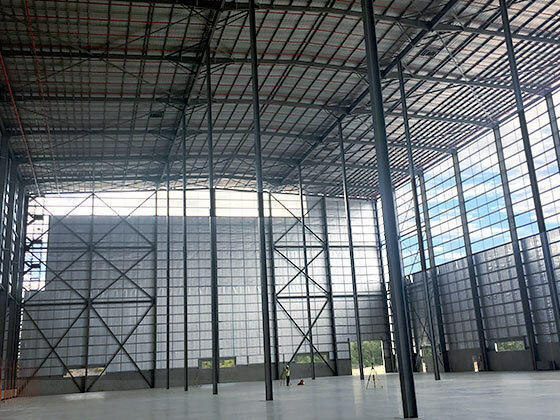 ‘Strand 7’ finite element modelling software was used to model the high bay warehouse floor, which is a jointless design using a combination of fibre and conventional reinforcement. 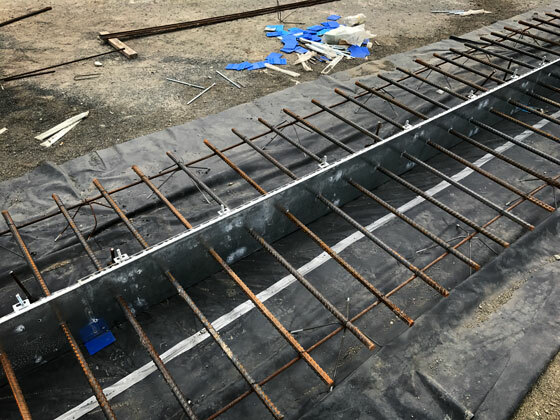 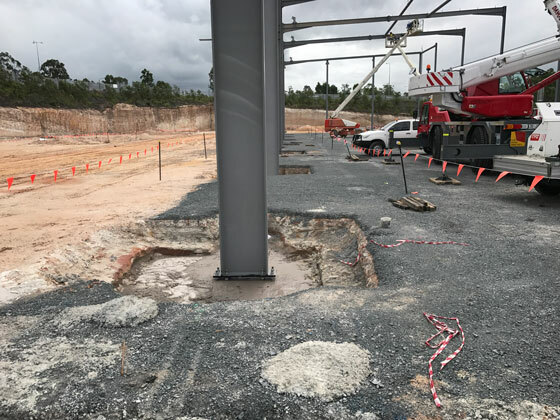 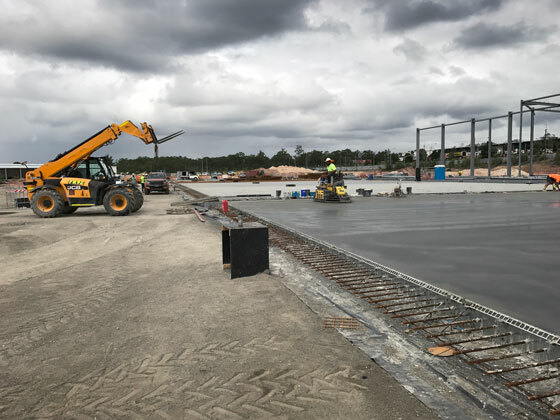 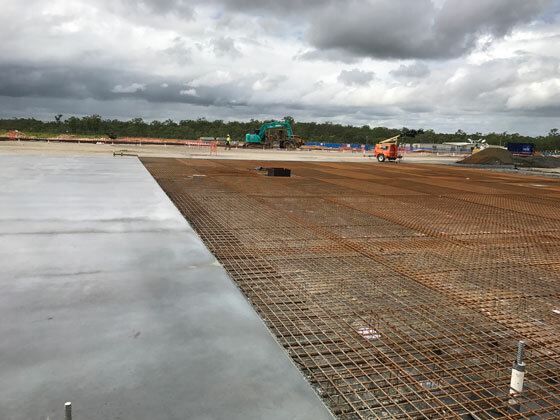 To ensure precision in the execution of flooring design, Costin Roe Consulting engineer, Eriq Parsons, was on-site to do inspections before, during, and after concrete pours for the slab and steel structure. 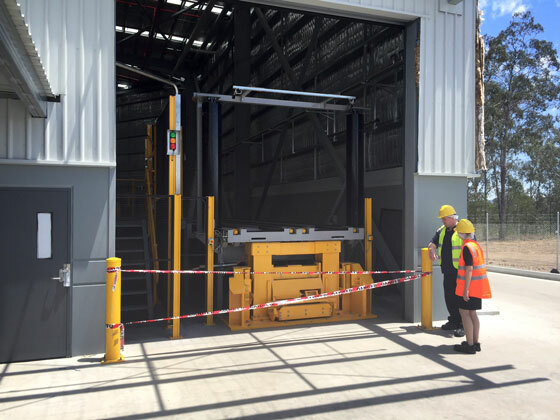 The images below show how the work has been progressing and how trucks are able to drive in and offload straight onto the ‘convabelt’, saving time and labour.